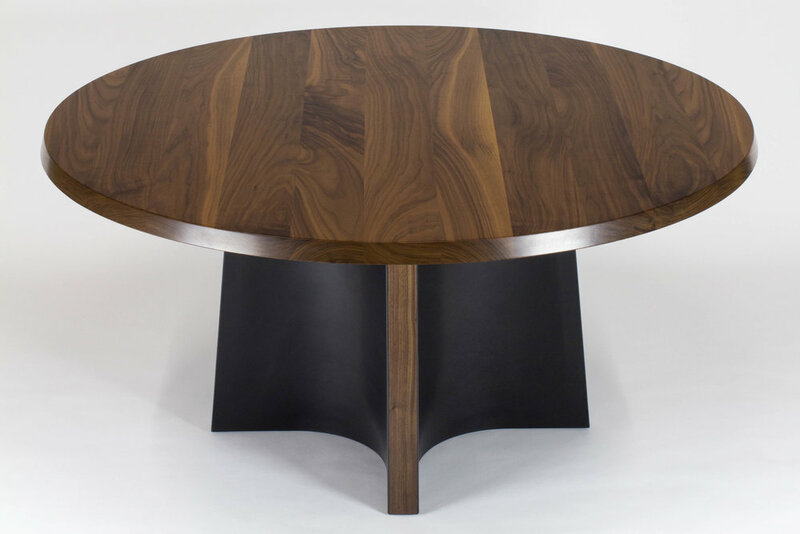 Round dining table made from solid wood and saddle leather. 29" tall and 60" wide. Available in custom finishes, sizes and shapes. 12-14 weeks.